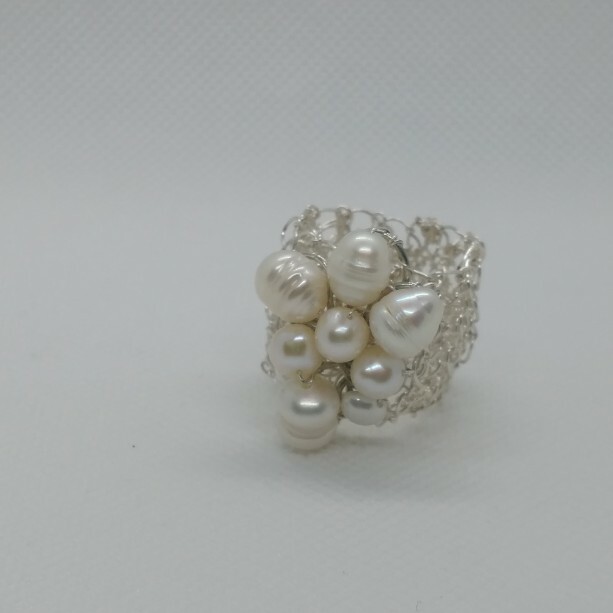 very elegant ring ,handmade ring using peruvian point crochet technique (the art of making beutiful jewelry designs with a crochet hook and fine wire). 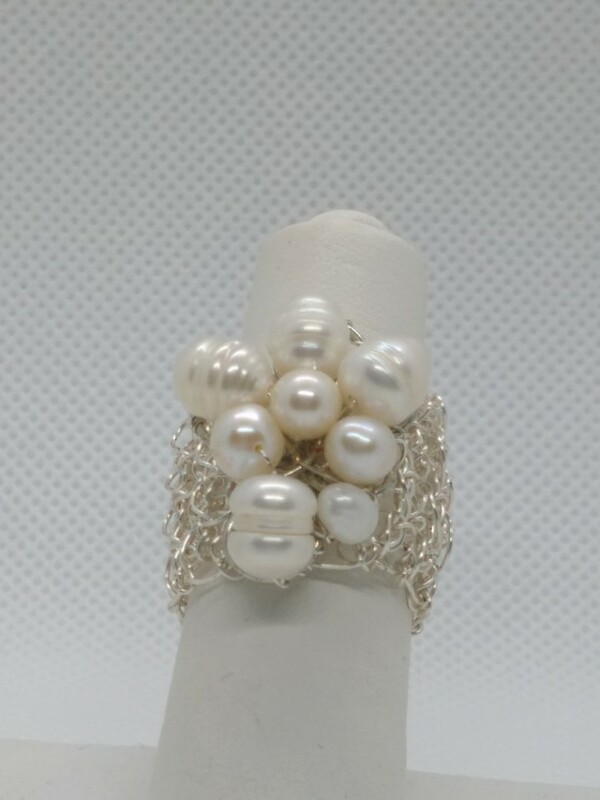 The contrast of the silver color wire and the white pearls gives a very feminine look. 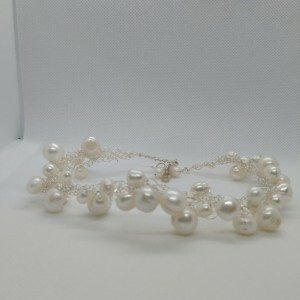 A great idea accessorie for a bridal or a gift for someone special. ring, band is 20mm wide. 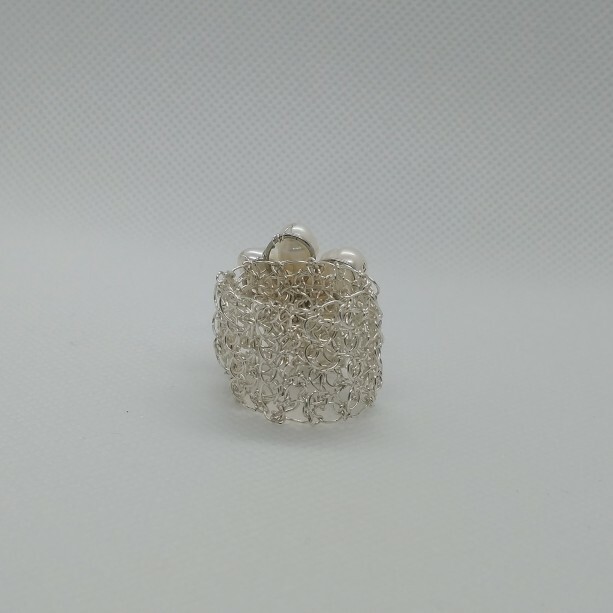 The band of the ring is 20mm wide. 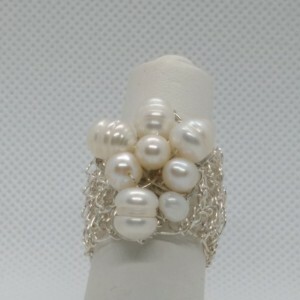 I use a very good quality wire,non-tarnish wire. Please keep in mind thatv extended periods of direct sunlight and/or water/humidity exposure may weaken the coating and/or cause it to become faded/discolored. Be gentle and kind to your jewelry and it will stay beutiful for many years to come. All pieces come in a very pretty jewelry box or organza bag.